After the sudden and unexpected death of her husband, Lisa Sheraton and her 14-year-old daughter start their lives over by moving to a new town. Lisa believes leaving their old home and painful memories behind will be good for her only child, Brittany. It doesn't take long for Lisa to find a place she feels is quite suitable for them. Because of the money left to her by her husband's substantial life insurance ... See More policy, Lisa knows that, at least financially, she won't have to worry about surviving. Although their loss is great, both mother and daughter are glad to be together and starting the next chapter of their lives. 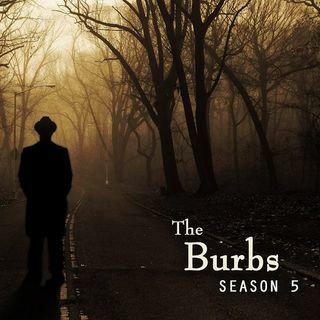 Find answers every Thursday at 10pm/ET when the Carmen Online Theater proudly presents, The Burbs. Each episode of The Burbs is 12-15 minutes and every show is archived so if you miss the live event, the show link is still valid. Be sure to refresh your browser and press the "play" button at 10pm. Sign up for a free Spreaker account and chat with the cast LIVE. Goodnight all, and again, greta job everyone!! !